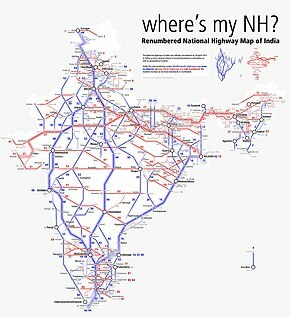 For the old National Highway 15, see National Highway 7 (India), National Highway 68 (India), National Highway 27 (India), National Highway 54 (India), and National Highway 62 (India). National Highway 15 (NH 15) is a National Highway in India. This highway starts from Baihata in Assam and terminates at Wakro in Arunachal Pradesh. This page was last edited on 26 December 2018, at 10:17 (UTC).